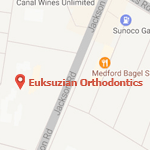 Dr. Sarkis Euksuzian and his skilled team at Euksuzian Orthodontics are dedicated to providing each and every one of our patients only the best in orthodontic care. During your first exam, Dr. Euksuzian will consult with you about which orthodontic treatment will best help you accomplish your goals. Our offices are conveniently located in Medford and Moorestown, NJ, and we also serve patients from Marlton, Mt. Laurel, and the surrounding South Jersey areas. Have confidence in your smile; get started at Euksuzian Orthodontics today! 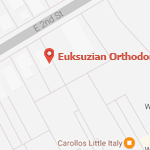 Thank you for choosing Euksuzian Orthodontics for your orthodontic needs. If you have any questions about your future appointment or any of our services, feel free to contact us today and one of our friendly staff members will be happy to assist you. From the entire team at Euksuzian Orthodontics, we look forward to seeing you in one of our offices soon!